Osama bin Laden didn’t die in Abbottabad. He wasn’t buried at sea. Kidnapped, hidden at a CIA black site in Poland, he perished in custody. 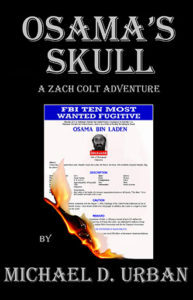 Then certain powerful individuals wanted a souvenir—his skull. But the CIA has other plans. It recruits Navy SEAL Ingvar Rogers to steal the skull and act as live bait to destroy ISIS and al-Qaeda cells embedded in the U.S. 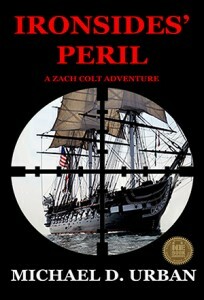 When things go south, Rogers turns to Zach Colt for money, guns, and backup. Together, they must outrun and outwit rogue CIA agents, murderous terrorists, including a daughter of ISIS, as well as the most powerful and secret group of all . 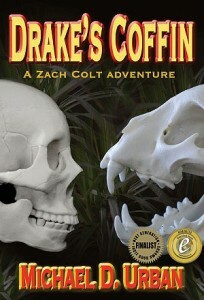 . .
El Draco’s Treasure is the young adult version of Part I of Drake’s Coffin. 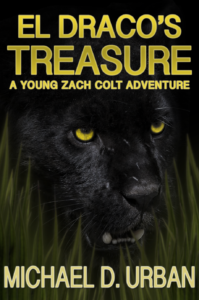 It is a rousing adventure tale about the discovery of Sir Francis Drake’s lost treasure in the jungle of Panama by a diverse group of teenage scouts. It features rich history, exotic locales, fascinating characters, and rapid-fire action that will keep readers engrossed for hours on end. In their journey, some find self-knowledge, honor and courage. Others face heartbreak and unthinkable loss. Together, they become men.